Marcelo Dascal (b. 1940 in São Paulo, from a family with deep roots in Bukowina) is an Israeli philosopher and linguist, born in Brazil. He is professor of Philosophy at Tel Aviv University, where he has taught since 1967. He was Dean of the Faculty of Humanities from 1995 to 2000. He is a graduate of philosophy and electrical engineering from the University of São Paulo, Brazil. 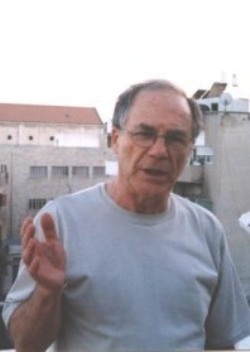 He studied linguistics and epistemology in Aix-en- Provence (France) and obtained his Ph.D. at the Hebrew University of Jerusalem, under the supervision of Yehoshua Bar-Hillel. In Israel, he taught at the Hebrew University of Jerusalem and at Ben-Gurion University of the Negev, where he was the founder and first head of the Department of Philosophy. Abroad, he taught at the University of São Paulo, Brasília, Campinas and Unisinos (Brazil), Lisboa (Portugal), Lugano (Switzerland), Massachusetts (Amherst), California (Berkeley), Monash (Melbourne, Australia), UNAM and UAM (Mexico), Ecole des Hautes Etudes en Sciences Sociales (Paris), Université de la Sorbonne Nouvelle (Paris III), Università degli Studi di Bologna (Italy), and others. Dascal devotes much of his energy to teaching, intent on contributing to the formation of the coming generation of high quality teachers and researchers. In addition to his undergraduate teaching, he has supervised thirteen completed Ph.D. dissertations. and twenty two completed M.A. dissertations, and is currently supervising several others. He lectured and attended scientific meetings throughout the world, being invited as keynote speaker in many of them. He is currently a member of the board of many scientific associations and journals. He is President of the New Israeli Philosophical Association and of the International Association for the Study of Controversies. He has been elected in 2003 for a five-year term as a member of the Steering Committee of the Fédération Internationale des Sociétés de Philosophie (FISP), and re-elected for another five-year term in 2008. Marcelo Dascal held research positions at the universities of Indiana, Stuttgart, Bochum, Technische Univ. Berlin, UNED (Madrid) and the Centre d'Etudes de la Philosophie Moderne (CNRS, Paris), and conducted research on the pragmatics of native languages in the Amazon area. In 1985-1986 he was a Fellow of the Netherlands Institute of Advanced Studies (Wassenaar) and in 1994-1995 he was a Fellow of the Institute for Advanced Studies, The Hebrew University of Jerusalem. In the winter term of 2002/3, he was granted the Leibniz Professorship at the Institute for Advanced Studies of Leipzig University (Germany), where he was the first Leibniz scholar to hold this position. In 1995/6 MD coordinated in Jerusalem an international research project called "Leibniz the Polemicist".The project seeks to develop a new understanding of the importance of debate in shaping knowledge. It was inspired in Leibniz's ecletical and pluralistic approach, according to which knowledge arises out of the synthesis of the "grains of truth" present in every doctrine, a synthesis that is to be achieved through rational controversy governed by a notion of rationality not reducible to logical deduction and yet not arbitrary. One of the upshots of this project has been the creation of the International Association for the Study of Controversies (IASC, read I ASK). The Association has conducted since 1996 yearly workshops and conferences (held so far in Israel, France, Italy, Spain, Turkey, Taiwan, and the Netherlands). Another upshot is a joint German-Israeli research project on the evolution of scientific, philosophical and theological controversies in the 17th and 18th centuries, led by M. Dascal and G. Fritz (Univ. Giessen). This project received a three years (1999-2001) grant from the highly competitive German-Israeli Foundation. It was conducted by a team of about ten Israeli and German Post-Doctoral and Doctoral researchers, and published four Technical Reports (available from G. Fritz or M. Dascal). MD has continued and expanded the scope of his research on controversies, has published several articles on the topic, and has founded (along with Gerd Fritz) a new series of books under the general title "Controversies", whose first three volumes were published in 2005. MD is a renowned Leibniz scholar. He has published La Sémiologie de Leibniz (Paris, 1978), Leibniz: Language, signs and thought (Amsterdam, 1987), and has co-edited Leibniz and Adam (Tel Aviv, 1991) which was selected by the Leibniz Gesellschaft as a special gift for its members. He published many articles on Leibniz, his contemporaries, and his influence. Dascal is a renowned Leibniz scholar. He has published La Sémiologie de Leibniz (Paris, 1978), Leibniz: Language, signs and thought (Amsterdam, 1987), and has co-edited Leibniz and Adam (Tel Aviv, 1991) which was selected by the Leibniz Gesellschaft as a special gift for its members. He published many articles on Leibniz, his contemporaries, and his influence. Dascal is co-founder of the Israel Leibniz Association (acronym ELI = Agudat Leibniz Israel) and a member of the Leibniz Association of America and of the Leibniz Gesellschaft, being regularly a member of the program committee of the International Leibniz Congress held by the Gesellschaft every five years. In the 2001 Congress (Berlin) and in the 2006 Congress (Hanover), he was plenary speaker at the closing sessions. In his earlier work, MD focused mainly on Leibniz's philosophy of language, and established the now accepted view that natural languages and other semiotic systems play, for Leibniz, a crucial role in our mental life, and therefore cannot be overlooked in understanding his epistemology. In his recent work, MD has been emphasizing the fact that, alongside Leibniz's well known and advertised idea of a formal semiotic system, the "Universal Characteristic", which would be the ideal tool for human cognition, based on a strictly deductive or "calculation" model of rationality, Leibniz was also concerned with those aspects of rational thought and action which were not accountable for in terms of such a model. Accordingly, he developed a model of what came to be known later as "soft" rationality. MD has conducted intensive research on this rather under-estimated aspect of Leibniz's rationalism. Three volumes resulting from this research are A7 (2006, 2008), AA26 (2008), and AA-inP-2 (forthcoming). In the philosophy of language, MD's work is particularly focused on the theory of language use, i.e., pragmatics. He has contributed both to sociopragmatics and to psychopragmatics (a concept he created), as well as to securing a proper philosophical foundation for these two branches of pragmatics and for their distinction from other components of a theory of meaning. His contributions to the cognitive sciences are closely related with his work on the mental use of language. He has published Pragmatics and the Philosophy of Mind (Amsterdam, 1983), and has edited Filosofia del Lenguaje II: Pragmatica ( a volume of the Enciclopedia IberoAmericana de Filosofia, Madrid, 1999) and Misundestanding (a special issue of the Journal of Pragmatics, 1999). He has also co-edited the tri-lingual, two volumes, two-thousand pages Philosophy of Language: A Handbook of Contemporary Research (Berlin, 1992, 1995), as well as Negotiation and Power in Dialogic Interaction (2001) and Traditions of Controversy (2007). A Portuguese translation of his book Interpretation and Understanding (2003) has been published in June 2006. In order to foster the study of the relationship between the use of language (and other semiotic systems) and cognition (and other kinds of mental life) Dascal founded and edits the interdisciplinary journal Pragmatics & Cognition (Amsterdam). In its ten years of publication, this journal has managed to create a unique forum for the discussion of this topic and has established itself as a leading journal in this and related domains. Since 2005, the journal publishes an annual Special Issue devoted to Cognition & Technology. In addition to P&C, MD was co-founder and former editor (up to 1999) of the international philosophical journal Manuscrito (Campinas, Brazil). He is the founder and editor of two book series in Hebrew: Ma?Da! (Dvir) and Philosophical Texts (Mif'alim Universitayim Lehotzaha Laor) as well as of the new series "Controversies" (Amsterdam), and co-editor of a book series in English, Human Cognitive Processing. He has authored or edited twenty seven books and ca. 250 articles on pragmatics, the philosophy of language, linguistics, the history of ideas, philosophy of science, political philosophy, and related subjects. He has also published a few short stories and translations. He is fluent in eight languages and can read a few more. For his achievements in research and teaching, MD was awarded in 2002 the Humboldt Prize, by the Alexander von Humboldt Foundation and the International Society for the Study of Argumentation Prize for 2004.